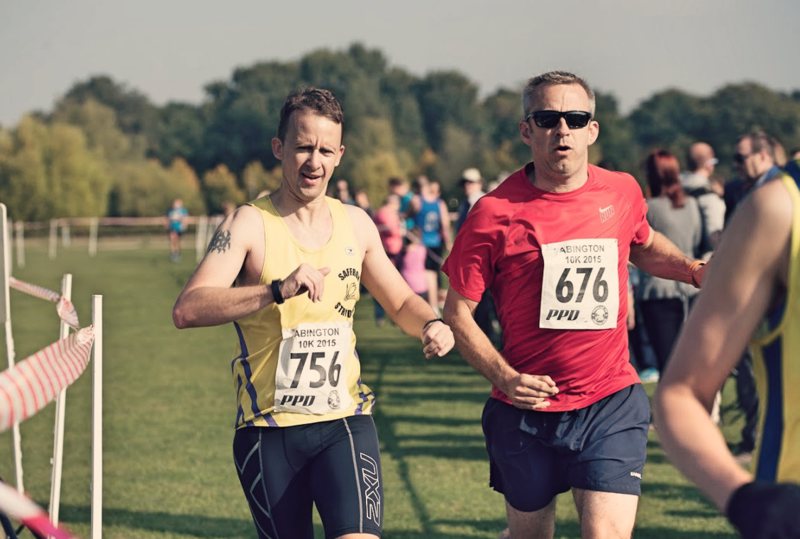 Established in 1989, the Saffron Striders are a Saffron Walden based running club for ladies & men catering for all abilities: from ‘keep fit’, to Marathon and beyond. 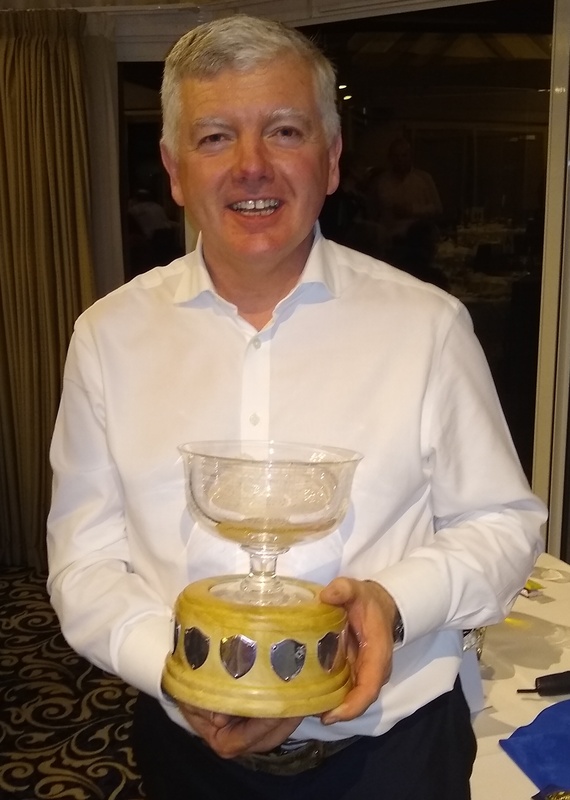 Michael Bradley awarded Strider of the Year for 2018. Congratulations Mike! 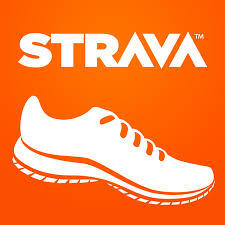 Why not join the Saffron Striders Strava Group, simply visit www.strava.com to take a look. 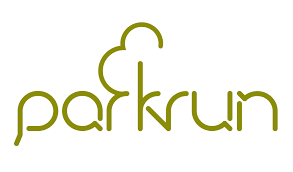 Do you take part in Parkruns? 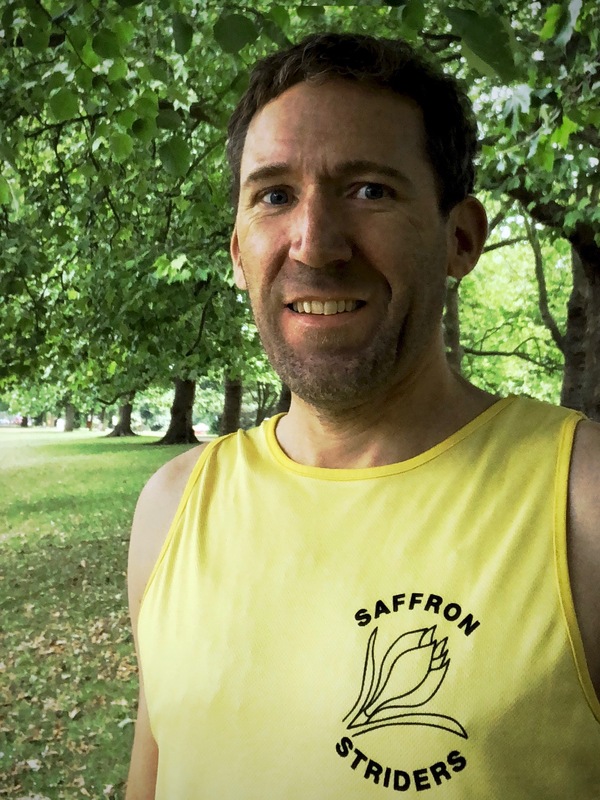 Check out the link to find the weekly results of fellow Saffron Striders at Parkruns near and far. 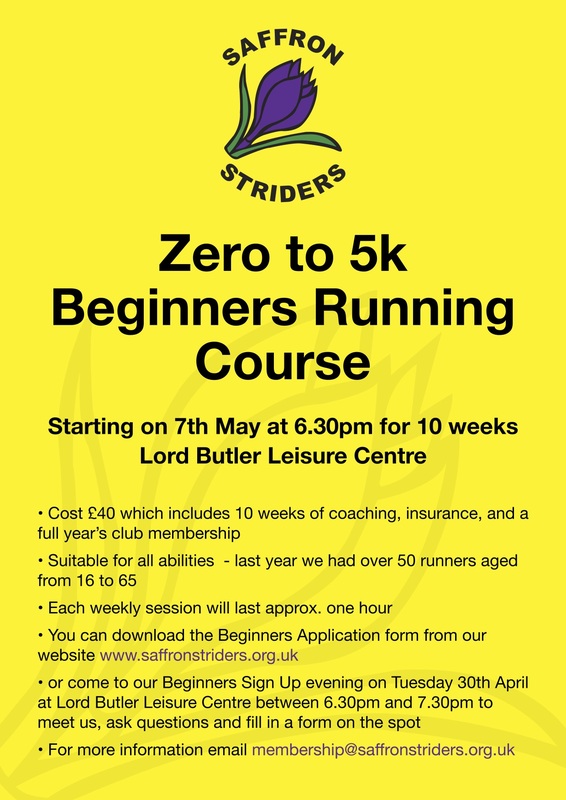 Check what has been happening with the Striders by taking a look at our monthly newsletter. As the name suggests we are a running club. We have around 150 members drawn from the town and local villages, and cater for all abilities from “keep fit” to marathon and beyond. “Striders” was formed in 1989 by Gay Jeffery as a ladies club, running from the local supermarket car park! Men joined in 1990 and now (and not just because of the men) we find ourselves based at the Lord Butler Leisure Centre. We meet weekly at the Lord Butler Leisure Centre at 8:00pm every Tuesday. There are also other club training sessions at various times through the year, such as circuit training on Thursdays in the winter, and a beginner’s course over 10 weeks each spring. We have some favoured runs around the town and country lanes and fields (light permitting), offering a varied degree of ease or difficulty, depending on your outlook. 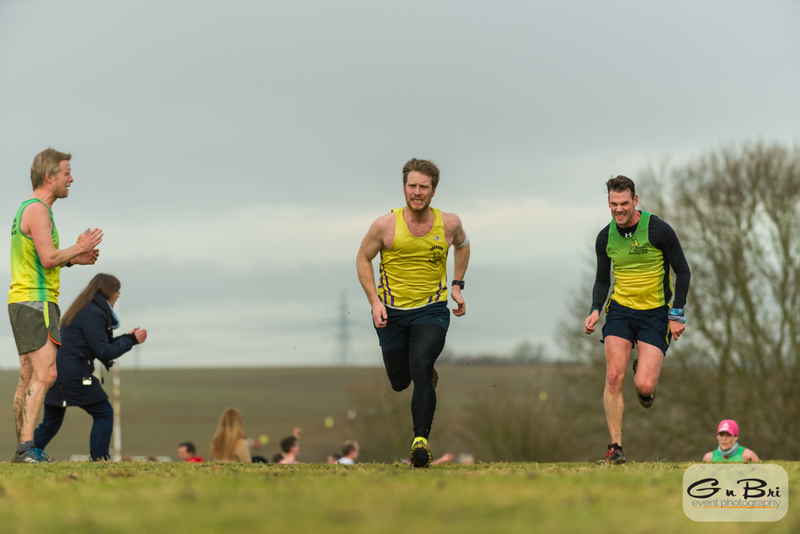 Throughout the winter the club competes in a closed cross-country league in the local region. In the summer we compete in a 5k road race league, run in the evening, with five other local clubs. Club members also compete in a varied selection of races, locally, nationally and internationally, these are usually on a Sunday morning. New for 2017, we are organising a “Fast 5” open race at Carver Barracks. Follow the links from this page for more details. The general ethos of the club is for members to do what suits them. We do however, have a very active committee, organising lists and entry forms for running events, the sale of running kit at below shop prices, a library of relevant literature, a regular email newsletter, and various social events throughout the year. Of course we have an annual dinner, who doesn’t? We go a bit further with a “Tinsel” run around the town at Christmas with mulled wine and mince pies “al fresco” in the Market Square. Then there are barbecues, wine tastings and anything else we can think of. Tuesday is the evening for “après run” in the Old English Gentleman, for an exchange of stories and a drink or two. WE ALSO DO SERIOUS RUNNING! IT’S FUN! COME AND JOIN US!